In this issue: A heretic becomes the savior of a technologically fallen world, science and magic coalesce, and a big game hunter discovers that dinosaurs may not be the most dangerous animal in the jungle. All that plus a new contest! Blow Back the Blood Winds! On the planet Duisberg, the Blood Winds—barbarians that sweep in from the desert and reduce civilization to rubble—are about to blow once more. It is up to Abel Dashian—with help from the spirit of Raj Whitehall and a powerful computer known as Center—to stop the tide of barbarians from destroying his people. To do so, he must conquer the very land of his origin and destroy the A.I. “god” who has doomed his world to an everlasting Dark Age. Abel is a heretic, but now he must become—THE SAVIOR. As war breaks out on Elfhome and riots rock New York City, twin geniuses Louise and Jillian Mayer must use science and magic to save their baby brother and sisters. But when they come face to face with an ancient evil force, the plucky nine-year-olds will soon find themselves in over their heads and in grave danger. The latest entry in the Elfhome series from Romantic Times Sapphire award-winning Wen Spencer. Your chance to win the complete Abel Dashian General series duology! 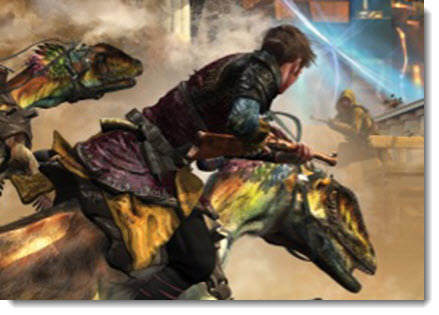 In a world of muskets, bows and arrows, and reptile-riding nomads, a young warrior fights against an all-controlling computer devoted to stasis. 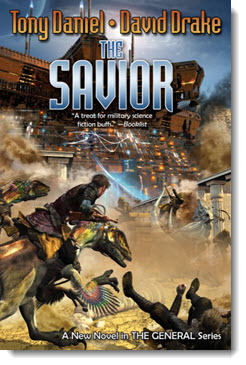 Now, enter to win signed copies of both The Heretic and its sequel, The Savior from masters of SF, Tony Daniel and David Drake. 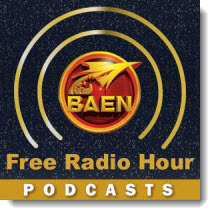 Now playing on the podcast: check out the recent Baen author spouse roundtable! 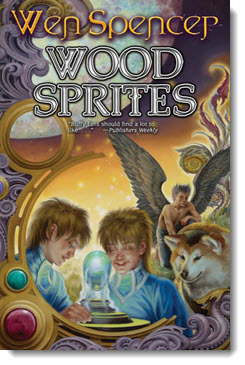 Now playing Wen Spencer on her new Elfhome novel, Wood Sprites. 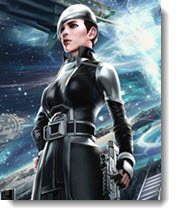 Coming up: Jody Lynn Nye on her new Imperium "Jeeves in Space" novel Fortunes of the Imperium; David Drake and Tony Daniel on The Savior, Lois Bujold on Memory and the legacy of Miles Vorkosigan, and David Weber and Tim Zahn on their new series set within David Weber's Honorverse! In June, we asked you what the first five things you would do upon returning from a Mars mission would be. Congratulations to Michael Pritchard for winning our contest! Michael will receive a signed copy of Ben Bova and Les Johnson’s novel Rescue Mode. You can read his award-winning list here. And congratulations are also in order for Charles Domino. Charles was the winner of our July contest in which we asked you to name the top three celebrities (living or dead) who would best augment Agent Franks from Larry Correia’s Monster Hunter series. You can read Charles’ winning entry here. The dapper Lord Thomas Kinago finds himself in danger when he investigates a smuggling ring that is quite determined to “cancel” him before he puts a stop to their illegal contraband trade. The hottest military science fiction series of all time continues with stories from Jane Lindskold, Timothy Zahn, and other great writers. Plus, an all-new David-Weber-authored novella featuring Honor Harrington. When Captain Ivan encounters a damsel fleeing the violent overthrow of her home planet, it’s soon evident that his carefree days are over. For Ivan must make the ultimate sacrifice: his hard-won freedom from the politics of empire. 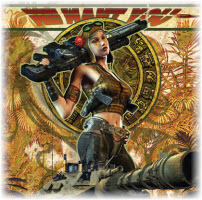 Don't forget to check out the newest ebook releases here, plus Baen.com free fiction from Jody Lynn Nye here. Also, don’t miss the Tedd Robert’s non-fiction essay, “Even Fantasy Needs a Little Science (Even Magic Needs Rules” here.